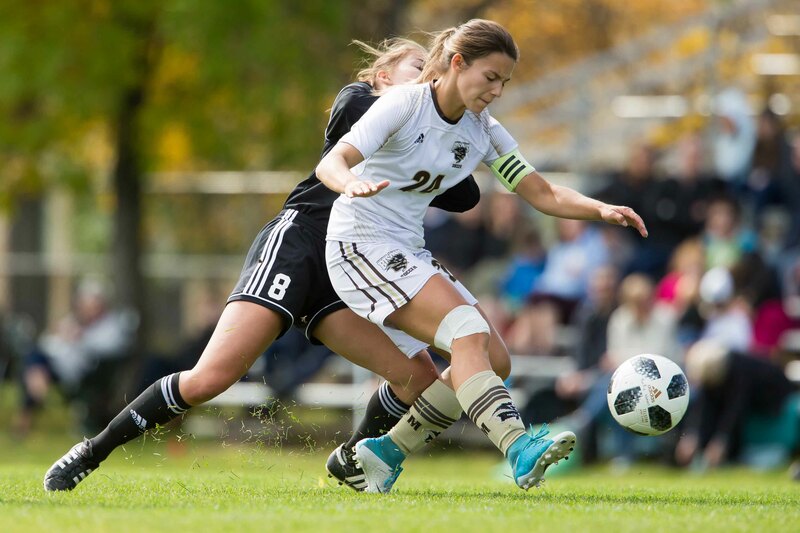 When the Manitoba Bisons women’s soccer team is hit, they hit back even harder. That has been the theme for Vanessa Martinez-Lagunas’s team so far this season, highlighted by a comeback draw 1-1 in their premiere weekend and coming back twice in a 3-2 loss to Saskatchewan last week. In their western trip this weekend, the Bisons exploited their ability to respond to deficits, rescuing a point for a draw at MacEwan while stealing victory against Mount Royal. The Bisons visited winless MacEwan on Saturday afternoon, fresh off a 2-1 win at Regina in their last performance. Having scored just two goals in two matches, while conceding five, the Griffins were keen to invigorate their uninspired start to the season. The home side was quick to start the match on a positive note and found a breakthrough after just 13 minutes. Striker Sheena Tracey picked out the top corner from a Marlea Moroz delivery and the Griffins were up 1-0. With halftime approaching, Manitoba had yet to respond to their early setback while their opponents were looking to widen the gap. Their problems escalated when MacEwan freshman Suekiana Choucair struck at 39 minutes, taking the Griffins’ lead to 2-0. As soon as the second half started, Manitoba was in search of a spark that could turn the match around. The occasion called for a difference-maker in Alanna Shaw. The striker equalized three weeks ago at home to UBC-Okanagan when the Bisons were down 1-0. Five minutes after the restart, Shaw pulled a goal back to get Manitoba on the score-sheet. More importantly, at 2-1, the Bisons had the remaining 40 minutes to complete the comeback. Both goalkeepers stood firm as the match progressed. Bisons stopper Madison Wilford produced five saves after replacing captain Chloe Werle at halftime. MacEwan number-one Rebecca Reif kept Manitoba at bay as the time approached 90 minutes. Hoping to avoid their second defeat of the season, the Bisons pressed late into the match. At 87 minutes, relief finally came for Manitoba when midfielder Megan Graca lobbed Reif for a dramatic equalizer. The final ball was played in by Shaw, who is quickly developing a knack for delivering at crucial times of games. Bruna Mavignier and Graca created chances during injury time, which would have seen Manitoba spectacularly clinch all three points. Wilford preserved the points for the Bisons with a pair of 90th-minute saves in the 2-2 draw. The Cougars were coming off a 1-0 loss to the Winnipeg Wesmen on Saturday and searched to avoid two consecutive home defeats. Midfielder Amanda Schafer struck midway through the first half, giving the Cougars a 1-0 lead. For the second match in a row, the Bisons had conceded the first goal. However, they were not in deficit mode very long, as Mavignier scored her fifth goal of the season three minutes later to even the score. The two sides entered the halftime break with the score all square at 1-1. The physical nature was then heightened as the Bisons and Cougars combined for 11 fouls during the second half. Manitoba left back Elyce Molyneaux collected the lone booking – a yellow card at 52 minutes. Having missed a late opportunity to score an injury time winner in the 2-2 draw the previous day, Mavignier was looking to make amends. At 74 minutes, she struck again and the Bisons snatched the lead 2-1. Manitoba held on for a win, seeing out their third victory of the season. Perhaps more importantly, this spirited Bisons team is using momentum gained from previous fixtures to produce the right results. At this stage of the CIS season, the Manitoba Bisons are undoubtedly making a name for themselves with their sublime comebacks. 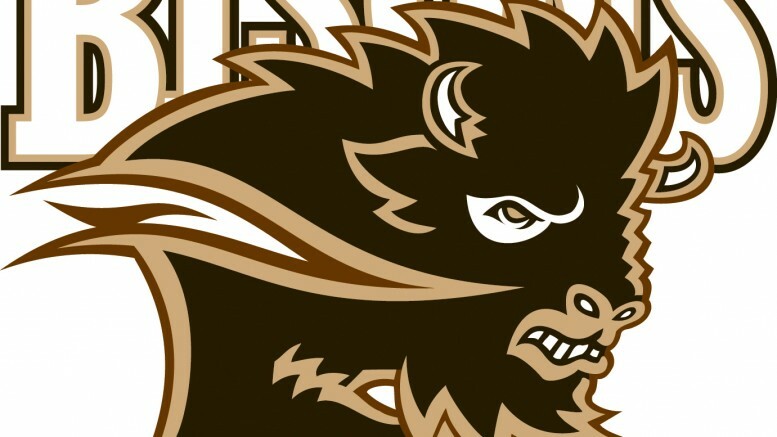 The Bisons host the Calgary Dinos and Lethbridge Pronghorns on Sept. 26 and Sept. 27, respectively.